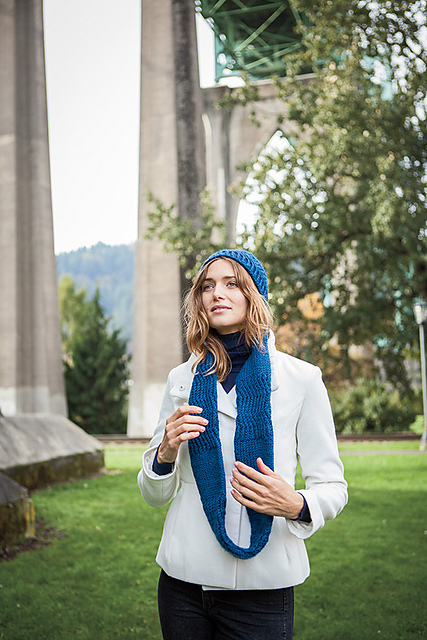 Knit Picks Quick & Cozy: Bulky Knit Accessories collection was released today and includes a new 80skeins design called Reverb Hat and Infinity Scarf! The hat is knit in the round from the bottom up and includes a twisted rib brim with a ribbed rick-rack on the body. Pompom optional. The infinity scarf is provisionally cast on and then knit in the round before grafting in a loop with Kitchener Stitch. 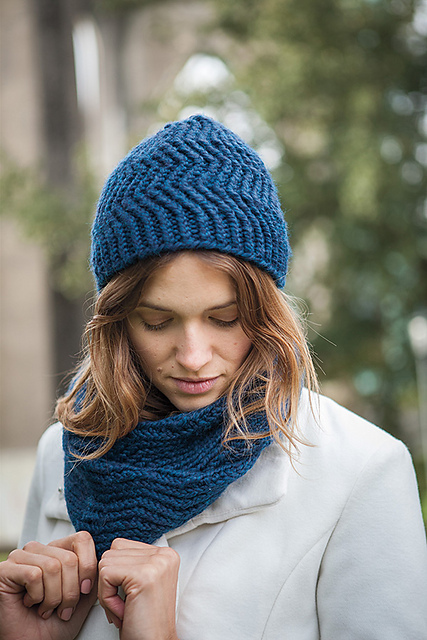 It features sections of rick-rack ribbing to match the hat mixed with plain stockinette to provide an interesting texture and dimension whether worn long or wrapped. The scarf can be knit to a double wrap length or triple wrap length. This pattern is only available in the Quick & Cozy: Bulky Knit Accessories book or for individual sale on the Knit Picks website. Previous: Free Patterns – Knit Picks Exclusives!